Jennifer A. Rivera ’06SCE & ’13G, an administrator in the Office of Academic Services, was selected to be profiled in the 2018-2019 Gloria Gemma Breast Cancer Resource Foundation calendar. 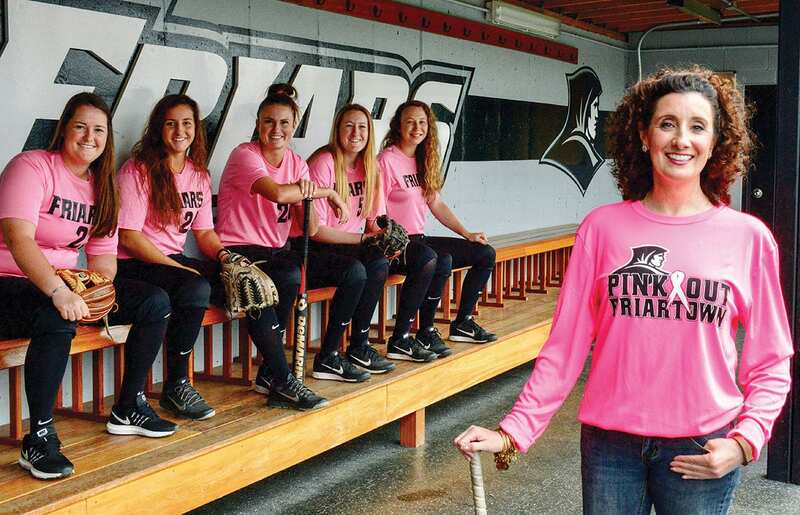 Rivera chose to have her picture taken with the softball team because of its support during her illness. As assistant director for disability support services in the OAS and the team’s academic adviser, she has worked closely with the student-athletes and coaches. The photo was taken in the dugout at Glay Field, where the Friars play. The pink jerseys that Rivera and five members of the team are wearing are in honor of breast cancer awareness and specifically, the Gloria Gemma Breast Cancer Resource Foundation of Pawtucket.